Imaging that you make a video with excellent quality and attractive story but the background noise is included, you know how annoying it will be. I don’t think this is a rare issue especially when we record videos with our phone. The background noise is very easily captured in the video. But when it comes to removing it from the video, things get more difficult and complicated. Usually, the background noise is integrated with the real soundtrack. Professional video editors like Adobe Premiere Pro and Sony Vegas Pro can help us fix such problems but these programs are not suited for beginners and not all people can afford them. 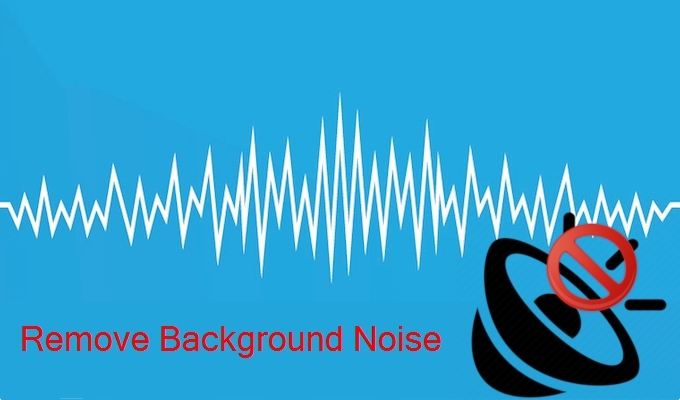 We figure out some free programs to help you remove background noise from video. Keep reading. Audacity is known to us a popular open source audio editor which is available for many platforms including Windows, Mac OS, and Unix-like systems. As it is a free program and has so many functions, it sometimes the best program when it comes to editing a audio file. Usually, people use it to make basic edits of their audio files, for example, cut, copy and paste the audio clips. There are also a large array of advanced functions, such as adjust the audio speed, add effects to the audio and normalise audio. 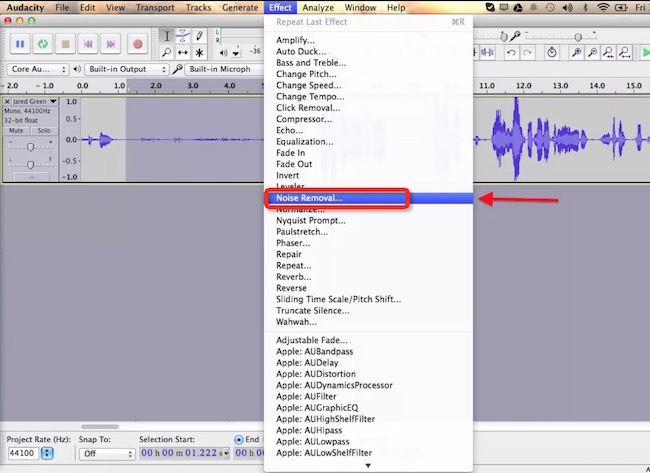 If you want to reduce/remove background noise from audio with Audacity, let’s check the process. Download Audacity from its official site if you haven’t had it. You should choose the correct link to download it based on your platform. Open the program, drop down “File” menu to import the audio file you want to edit in it. Listen to the entire audio clip, highlight the part of the clip that has noise by clicking and dragging your mouse from one side to the other side of the part. Click “Effect” and choose “Noise Removal…” from its list, you will then find the “Noise Removal” popup comes out, leave the settings default, click “Get Noise Profile” > “OK” and the noise will be removed from the audio file. Click “File” > “Export Audio” > “Save” to save the changes you made to the original file. VLC is not a video or audio editor. Actually, it is just a multimedia player which you can also find a lot of editing functions. When you use it as a background noise removal app, it is helpful when the noise comes from the audio track not the speaker. Note that, you cannot create another file without background noise using VLC as it is just a player. Open the file in VLC. Click “Tools” and then choose “Preferences” from the dropdown list. Click “Show settings” and “All”, then you can find all available advanced preferences in the Advanced Preferences window. 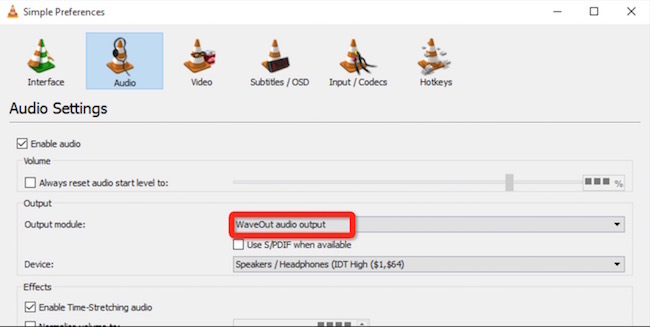 Go to “Audio” section and click “Output Modules”, drop down the menu on the right side of the window, select “WaveOut audio output” > “Save”. After that, preview the file and check if the problem is fixed. If it doesn’t, you can have a retry on the “Windows Multimedia Device Output” and “DirectX audio output” option. If you are a Mac user and don’t have a paid solution for the background noise in the video, you can rely on iMovie to remove background noise from video. iMovie is not a video editor for just trimming and cutting video files, it also has a number of tools that can enhance the audio in the video. 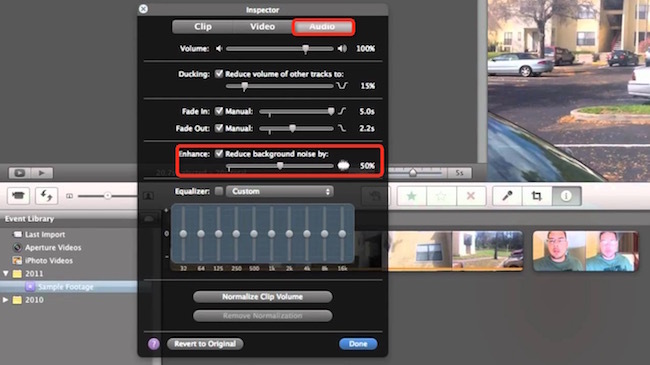 You can automatically reduce background noise but keep the video sound better. Open iMovie, import the file you want to edit and drag it to the timeline. Select the file, click “Adjust” button in the toolbar and “Noise Reduction and Equalizer” button to bring out the noise reduction controls. Check the “Reduce background noise” option, drag the slider to the right side to increase the percentage of the background noise reduction (0% means no reduction on the background noise and 100% means the maximum reduction). Do you have other suggestions on free Background noise removal programs? Leave your comments below. Or if you have questions about the solutions we recommended in the article, share them here. We will evaluate them and add them to the post.